I’ve wanted to write a book for a long time and created this one to help and assist those of you who need a little go-to guide once in a while. 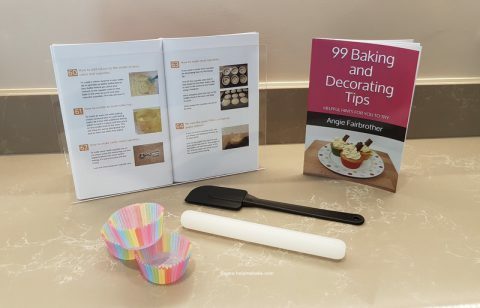 It’s great for kids who are interested in baking, it’s helpful to those of you that have an idea of what you’re doing, and there is even stuff in there to help those who have a pretty good idea of what to do too. In short, I start the book from turning the oven on (which is an essential tip in itself) and include things that have helped me along the way. There are pictures next to each tip so if you’re flicking through it; it will be easier to find what you’re looking for rather than just searching through a mass of text. I do hope you enjoy the book and would love to know your thoughts on it. If you have any questions regarding it, then please post below, and I will happily get back to you. Thank you for taking the time to read this post, and I wish you the very best of luck on your baking journey. For those of you who buy the book, I hope it serves you well. I've just got another 5 Star Review on Amazon! It's actually a lot more difficult than you think. Sales are ticking over but you have to keep reminding people it's out there and promote it at every opportunity. I'm still coming up with ways of putting it out there. The thing is you have to persuade people to part with their hard earned cash on something you've created. Currently, it is sat in one of the biggest libraries/book stores in the world so I have to entice you to look, see and then buy/read it. All the feedback that I'm receiving from people is that they absolutely love it so that's really good. I just need them to tell their friends about it and so on. I'd really love it to do well and think it's a great book for adults and children alike so hopefully, it will pick up the pace and start spidering to where it needs to be and sales will flourish. Once this one gets to where it needs to be I'll start on the second book. 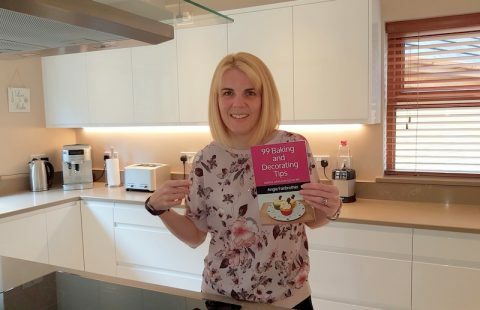 I hope your sales do pick up, at the moment I've not said anything about it because of trying to keep it a secret from Kelly but once I've given her the book hopefully she will spread the word around about it, she has lots of friends and knows a lot of people in the catering industry as well. The trouble as well is I don't go out so don't see other people and at the moment keep quiet on Facebook because Kelly sees my posts. Just hang on in there we'll get you noticed and hopefully sales will start to rise. Lol, Mrs Secret Squirrel you do make me laugh. That's very kind thanks, Joan. My hairdresser friend is promoting me to all her customers at the minute, so you get a cut and blow with a quick read of my book! I'm the same as you though, because I work from home I don't see people other than those that relate to Hannah or the places I go. As you know I've posted on Fb, Twitter and here which is pretty much my social media side and then I've spoken to people I know from the Butcher the Baker to the Candlestick maker and then everyone else in between. I don't do the school run anymore so I cannot promote it in the playground so literally, I'm trying to cover all the places that I go to and leaving a copy of the book so they can pass it around and show their colleagues. I'm like the bookman but just promoting my own book! I used to love that guy. I do appreciate all the help I'm getting and my Amazon reviews are all 5 stars so it's all good. People obviously like it which was my aim as I wanted to teach to the masses. Other than the promotion I've been doing and people telling their friends etc about it I'm not too sure what else I can do to promote it any further other than re-post on Fb and Twitter from time to time. I do have a few book signings to do but no Book Tour planned as yet, there is time though!